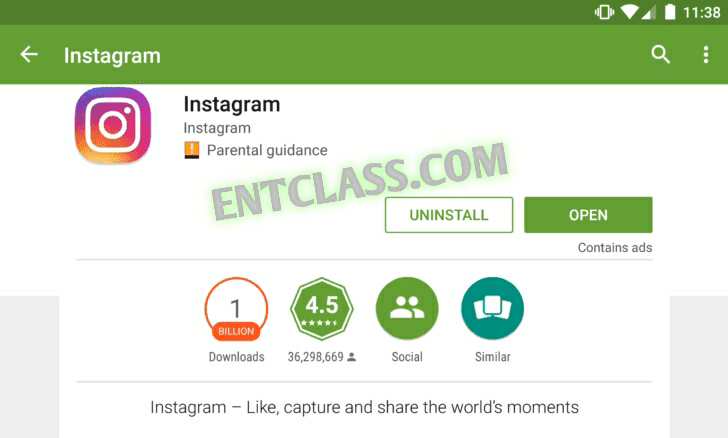 The latest Android app on Google playstore that has reached 1 Billion downloads is Instagram. Let's say congratulations to Instagram for hitting 1 Billion and also joining the 1 Billion downloads club. As we all know that Facebook owns the most popular social media apps apart from Facebook app, they are Messenger and Whatsapp. All these apps has recorded 1 Billion+ downloads. Instagram is now the fourth after Facebook own apps to hit 1 Billion Installs. Like seriously, it's not easy to get over 1 Billion installs on Google playstore. According to reports recorded, there are only 1.4 Billion Android users. So Instagram hitting 1 Billion installs is unique, no doubt about that. It's not really easy sire. 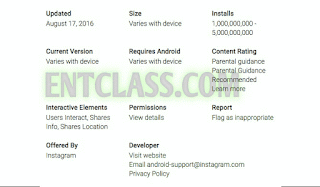 According to source, Instagram now joins the 1 Billion Installs Club and also recorded as the 19th app tp achieve this. Now, what app on Playstore will make the 20th list to hit 1 Billion Installs? Is it Twitter, Pinterest or SnapChat? Let's hear you via the comment box below.